If it were possible to know the greatest thing ever, would you take the time to find it? There are countless stories of such adventures. Remember these great films? The Goonies, National Treasure, Indiana Jones, Star Trek, to name only a few! There’s something captivating, mystic and ultimately, rewarding in the quest and discovery for whatever “holy grail” we are seeking to find. As students, finding this gem in light of college could be the greatest thing ever! But what exactly is it? And why, when it’s found, would it become the greatest thing ever? Leave nothing unturned, read often, read from different sources. This, by far, becomes the best preparation for and improvement in writing, standardized tests and general knowledge of the world and events. Take the time to read and read, and read some more! It is the window through which knowledge is gained. It truly is the greatest thing ever!! Georgia Legislation to give the HOPE scholarship more hoops before any student can cash in. Georgia students are looking ahead to an even greater and more rigorous academic load while preparing for college. It’s not just the grade point averages anymore. It’s the added requirement of including up to four dual-enrollment, advanced placement (AP), International Baccalaureate (IB) or others from a small list of legislatively approved courses by 2017. “Qualifying for the HOPE scholarship is going to become more difficult. Students graduating after May 1, 2015, will be required to take at least two classes from among college dual-enrollment, Advanced Placement (AP), International Baccalaureate (IB) and advance foreign language classes to specific classes approved by lawmakers (tinyurl.com/GSFClist) if they want to qualify for the scholarship. They must still have the required GPA. Planning for the HOPE scholarship became more calculated and having a plan in place for college just became more critical. Both students and their parents should be looking ahead and preparing for making some more calculated and intentional decisions that could have a surprising and positive impact on the student’s college admission plans. These new requirements will actually allow more students to be more admissible to a broader selection of colleges. When you apply for college, your academic resume makes a huge difference with regard to attending many colleges and universities. A rigorous high school academic schedule speaks volumes these days! The Daily Citizen also quotes Jennifer Phinney, director of school support for Dalton Public Schools saying, “regardless of which classes they take, students should “get a plan now” if they’re banking on HOPE scholarship money to help pay for college. Capstone Educational Consultants, LLC — Fayette County’s personal and comprehensive college planner can assist in developing an educational action plan that makes sense now, but makes even more sense now for college. Creating a plan during high school, where every decision is intentional and makes the case for college is brilliant. been all over them with his exciting performance expected on this year’s Winter Olympic half-pipe. Anticipated by many to bring home the Gold, Shaun actually went on to rank 4th in the event. And as you know, 4th place in the Olympics brings nothing home, but Shaun brought home something more priceless than Gold! The more I pondered on this moment of surprise, I thought of the many high school students who, like Shaun, have worked hard and have for themselves incredible dreams and aspirations for college. It’s a journey not unlike an athlete’s journey to win Gold. But for Shaun, his dream ended nothing like he had imagined it would. It ended in 4th place. Shaun didn’t quite set out during his college days expecting to win a Gold Medal at a future Winter Olympics. In fact, Shaun’s parents were a bit confused when their math student began talking of snowboarding and a half-pipe. But Shaun didn’t allow those moments to interrupt his big dream of one day making history. His journey began with a dream and with that he set out to make it come true. Like so many high school students that think long and hard about the college of their dreams, Shaun thought a great deal about what it would take to make his dream a Gold-en moment. Hard work certainly paid off, he made it to the Olympics! But the dream of Gold he worked hard to earn slipped through his fingertips. Similarly, high school students work extremely hard with community service, academics and extracurricular activities in hopes that one day it will all pay off — for college. But the truth is everyone doesn’t get into the college of their dreams, even though they work very hard. Everyone doesn’t win and that’s okay because Shaun doesn’t see himself as having lost, he thinks of himself as a winner regardless. When we don’t get what we want or even what we think we deserve it often leads to conflict. I can only imagine the disappointment with not getting to medal in the Olympics after such discipline and working so diligently for that very moment. College-bound students are experiencing this very thing each time the college of their dreams sends the infamous letter of rejection. This being said, it’s even more difficult for these students to congratulate their friends — especially when it’s at a college they want to attend as well. Seeing Shaun go for it and lose it was nothing short of painful. But watching him respond to it was priceless — encouraging those who’d done well and winning the very thing he wanted. It’s important for high school students to realize life hasn’t come to an end when dreams get crushed. Instead, live life to the fullest as though nothing will stop you. Remember, even though you don’t get into the college of your dreams simply means there will be a detour and detours are meant to take you to the same destination. Nothing can spoil a moment more than derogatory or negative comments when something you’ve always wanted doesn’t quite land in your lap. Don’t be that negative person. Instead, be sure to encourage the one who got turned down from a college or not chosen for that scholarship. Everyone wants to win, but it takes character to make it through a loss. Friends and family that encourage the high school student along their college journey will be giving them the strength they need to make it through those rough moments. It’s fantastic to have a supportive family and a group of friends by your side when the tough gets going. 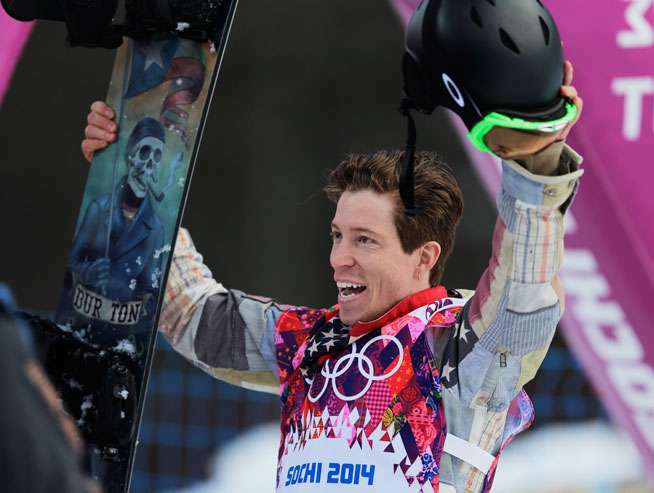 Thank you Shaun White for showing America how to work hard to win and how to act when you don’t! Truth is, the race is on! Both the federal and state governments set aside a predetermined allotment of funds to distribute to eligible students each year for financial aid — and it’s not just for college freshman! These funds are only available for a limited time for ALL college students. File early!! Filing as soon after January 1, the greater the chance your student will receive the entire amount of eligibility. The early bird really does get the worm! Include each college/university of consideration on the FAFSA!! This notifies the college of your interest or intent and streamlines the process as your FAFSA results will be sent directly to them. File despite your wealth!! The formula used to determine aid eligibility takes into account far more than income and assets alone. Don’t assume you won’t receive financial aid, it’s a bad idea. 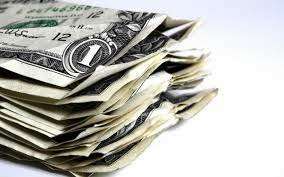 Extenuating circumstances that significantly impacted your reported income could call for a justified “professional judgement” by the financial aid director. Financial Aid Estimator, College Cost Predictor and a FAFSA Answer Key. With a single, customized report, it’s possible you could save hundreds, if not thousands or tens of thousands of dollars throughout the course of your child’s college career. Capstone Educational Consultants will give you a detailed look inside each college, their financial aid offers, your estimated family contribution and projected out-of-pocket expenses.